Elsewhere, Rachel and Darren took a drive to the country to meet with a carpenter and Rachel takes the opportunity to ask Darren which way he swings. He assures her that he is straight as an arrow (just like Ricky Martin!) and that he just had a bad reaction to the drugs. On the way back to NYC, he asks Rachel to move in with him. She balks a little, which seems a lot like foreshadowing her eventual return to Ben, who is smitten with the aforementioned hot retail chick, Julie (played by Margarita Levieva). 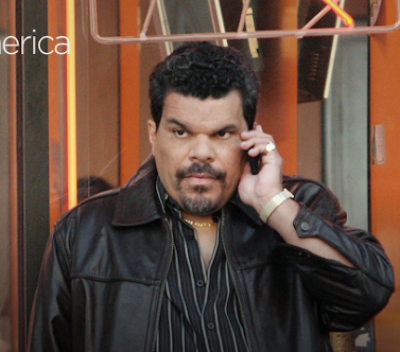 Rene is struggling with keeping his criminal instincts under wraps, but still wants to confront Flaco about stealing the 100 grand. They set up a meeting in a school playground, where Rene once allegedly sucker punched Flaco. At the scene, Rene has an epiphany and decides to let the issue go, but gets in one more sucker punch for old times. This particular episode didn't do a whole lot for me, as it felt as if it was a stand-still moment. As I have mentioned previously, I don't really dig the Rachel-Darren scenario and to me they had the juiciest scenes in Good Vintage. Though you can see that Rachel isn't feeling Darren anymore, the fact that Ben met Julie and is at least attempting to date her presents what should be an interesting plot sequence going forward. I find it interesting that as Ben flirts with respectability and success, Rachel finds herself drawn back to him. Rene continues to be the best part of the show for me. His inner turmoil between right and wrong is fantastic to watch, and Luis Guzman is really the perfect choice for the role. He can look positively evil if he wants to, but speaks a good enough game that you believe he wants to be a good guy. The real shame with this series is that, like other HBO series', it only has 8 episodes a season to tell a lot of story. That translates into some heavy scenes where each line really has to mean a lot, and there is no room for any throw away lines. Though short and intense isn't always a bad thing, it would be nice to have a few more episodes so that the status quo stories (Eps 4 and 6) don't feel like a let down.